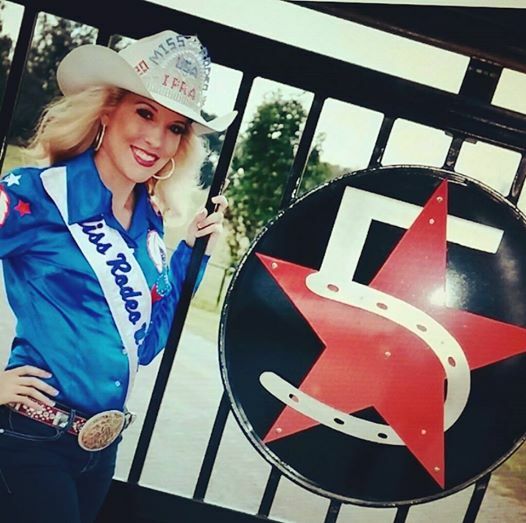 5 Star Quarter Horses started their sponsorship with the Miss Rodeo USA Association in 2013 by supplying horses to MRUSA when she worked rodeos in south-central Oklahoma. Over the past two years, Faith Pinkerton, along with husband Patrick and amazing kids have advanced their sponsorship to include supplying horses for clinics, queens, and the national pageant in January. Their friendship, generosity, and willingness to help however necessary makes this family a true treasure to the Miss Rodeo USA Association! We are so grateful for your unwavering support of our organization! 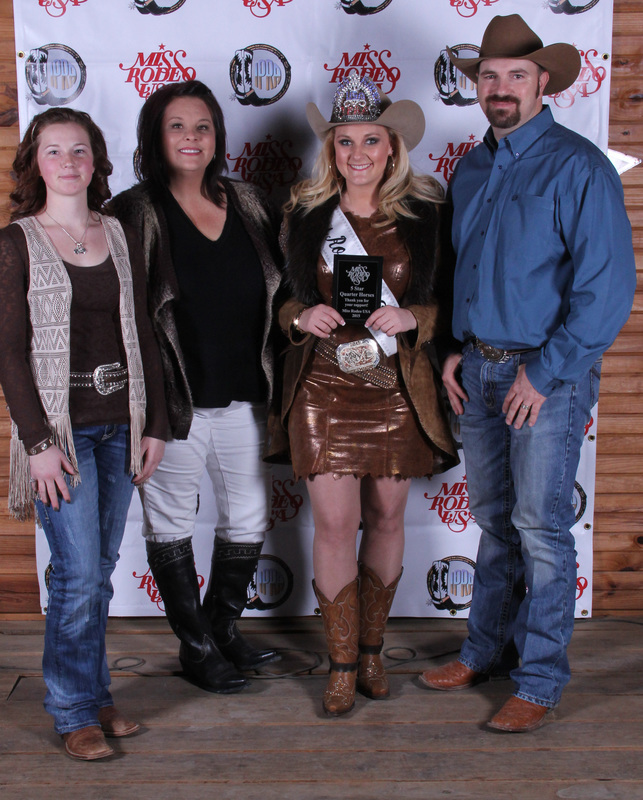 Above: Kirbi with the 5 Star crew at her coronation at Express Ranches in Yukon, Oklahoma! Above: Miss Rodeo USA 2015 hopefuls pose with Faith and Patrick after a successful horsemanship competition with 5 Star horses! 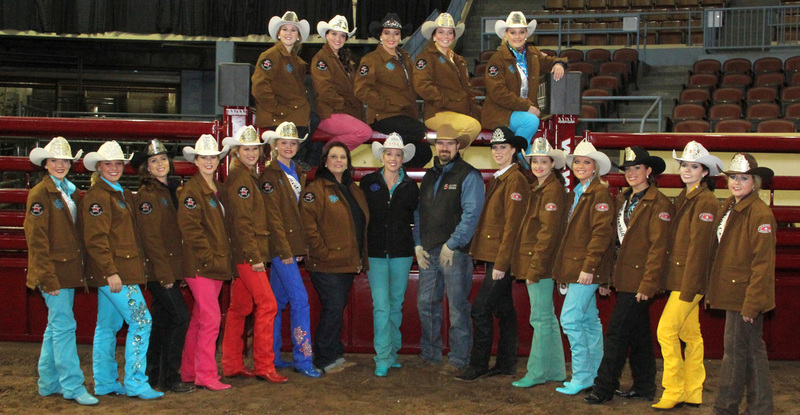 Above: The 2015 Miss Rodeo USA contestants model their new 5 Star Quarter Horse sweatshirts! Comfy AND cute! 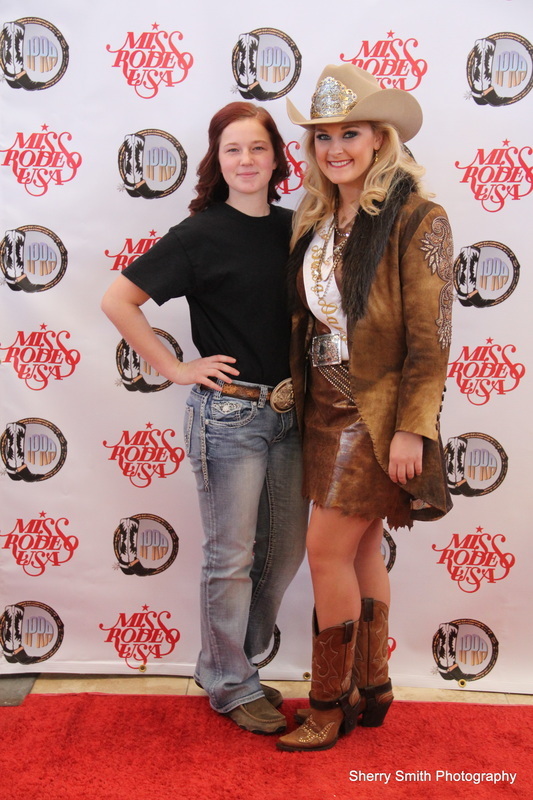 Above: Raylynn of 5 Star Quarter Horses poses with Kirbi at the 2015 Miss Rodeo USA pageant! Left: Elisa Swenson, Miss Rodeo USA 2014 poses at the front gates of the 5 Star Quarter Horse ranch in the beautiful Pauls Valley, Oklahoma! For more information visit 5 Star Quarter Horse's website!